If you’re expanding or supplementing your dairy herd, ask Global Cattle Exports about Holstein dairy cows and in-calf heifers. We import the best quality cattle from Europe and beyond, helping to keep the bloodlines in British dairy herds healthy. 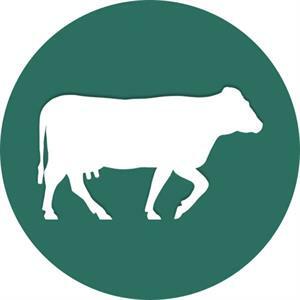 Draw on our decades of experience in selecting the best milkers for your requirements when you need to import dairy cows. Dairy farmers and milk producers all over the UK have trusted us to help import their Friesian and Holstein dairy cows for almost 40 years. Click here for more information. Robin Loxam, our founder, is a respected dairyman with an instinct for choosing the healthiest beasts. The welfare of your animals is our priority. Van de Weterings, our transport partners, use state-of-the-art vehicles, kept spotlessly clean, so each cow has its own water supply throughout the journey. They have regular rest and milking stops throughout their journey, so they arrive at your farm in top condition, ready to join the rest of the herd. Call us now on +44 (0) 1524 60646 or visit our Contact Us page to take advantage of our expertise and experience. A professional family run business who strive to provide our clients with a friendly and reliable service at all times. A superb range of breeds including Holstein, Jersey, Limousin, Simmental, Belgium Blue and many more. If you would like more information or just want to speak to someone about our services then please click below.